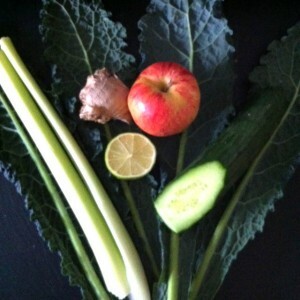 A green detox juice recipe based on the desert island juice ingredients selected by Mark Beddoe. 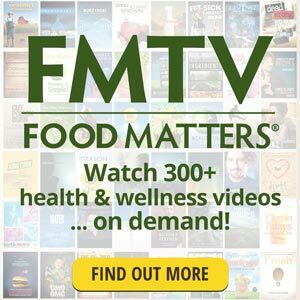 Mark says watching Fat Sick and Nearly Dead put things into perspective, as did seeing seeing how I lost over 70 pounds and transformed my health. 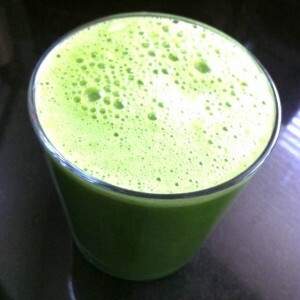 Mark also found juicing has helped with his gout pain. 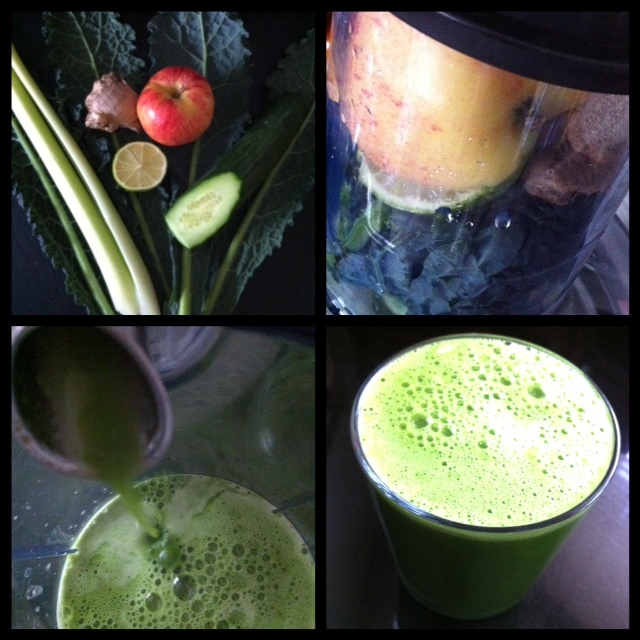 Simply juice the apple, kale, celery, cucumber, lime and ginger and serve over ice. Note: if you are using a centrifugal juicer (like the Philips wide neck juicers, Sage juicers or Breville Juice Fountain) then I suggest chopping the apple in half, then put one half of the apple in the chute, packing the kale, ginger and lime in tightly and placing the other piece of apple on top. Then juice the celery and cucumber. This will get you the maximum yield from the kale. 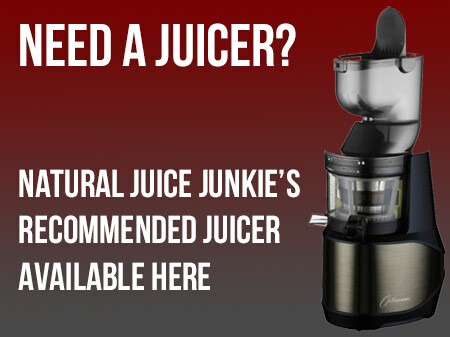 Who Is Natural Juice Junkie? 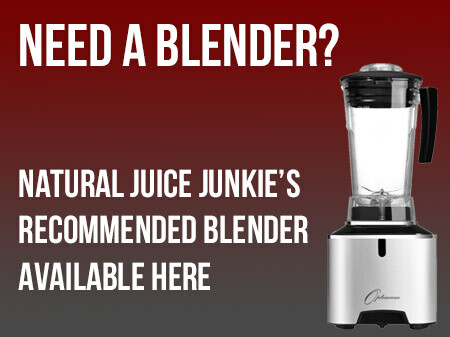 Juicing FAQs: Why Don’t I Just Eat It?